CAPE CANAVERAL — Peering down at the Earth’s atmosphere from a research window aboard the International Space Station, a new science instrument launching Tuesday will compose unprecedented characterizations of the chemical makeup of shooting stars. The instrument will perform visible spectroscopy through the Window Observational Research Facility, or WORF, in the U.S. Destiny laboratory module for two years, making observations during predicated meteor showers, the highest priority observing time, as well as nighttime periods of orbits and even watch the de-orbiting of other spacecraft. “The WORF window points at the Earth and will allow us to observe meteors entering the atmosphere during the nighttime portion of each orbit,” said Michael Fortenberry, the METEOR principal investigator. Studying meteors from ground-based or aircraft investigations has one major drawback — ozone absorption in the atmosphere masks the “organic” carbon spectral emission. METEOR’s space-based observations eliminates that problem. METEOR will provide scientists with data on the physical and chemical properties of meteors, such as size, density and elemental composition, and monitor for carbon-based compounds. The parent comets or asteroids that spawned most well-known meteor showers are identified, allowing the METEOR data to be applied back to the original cosmic bodies that generated the debris now hitting the Earth’s atmosphere. Such information could assist in the understanding of how planets formed. Data from the instrument will be saved to 35 portable harddrives that will be returned to scientists on Earth. “Data analysis on orbit will mainly be the software taking pictures over a day and then giving us a list of what it thinks it found as far as meteors entering the atmosphere. Then it will generate several-second video clips of the meteors that can be downloaded. But with the amount of data we’re collecting, it is going to be difficult downlinking all of it. 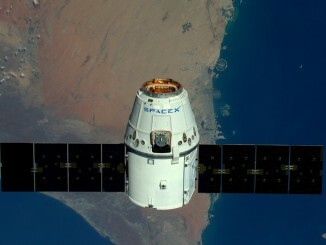 That is why we are using the harddrives to return all of the data to the ground for analysis later,” Fortenberry said. 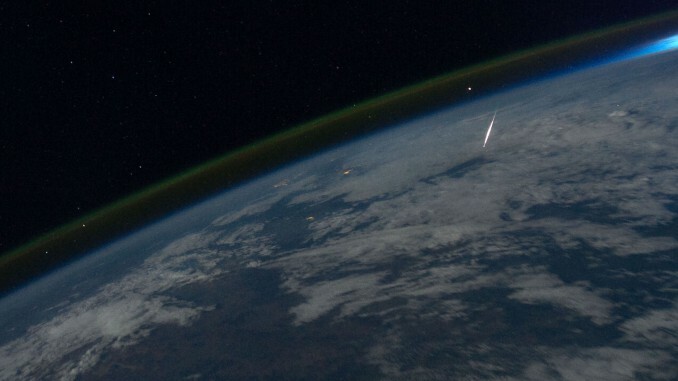 Scientists expect the space station crew to set up METEOR in April so that the instrument can observe a few small meteor showers for calibration and checkout before the first big target — the Perseids on Aug. 12. METEOR was developed by Chiba Institute of Technology of Narashino, Japan. The project is led by principal investigator Michael Fortenberry of the Southwest Research Institute in San Antonio, Texas. Operations of the experiment will be autonomous, with planning conducted by the METEOR team in Chiba, Japan, in coordination with the Payload Operations Center at the Marshall Space Flight Center in Huntsville, Alabama. 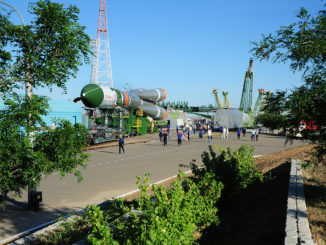 Tuesday’s launch will be the third try to send METEOR to the International Space Station. 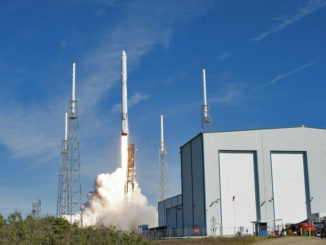 The first instrument was destroyed in the Antares rocket accident in October 2014 and the flight spare was lost in the Falcon 9 failure in June 2015. “Since we didn’t have any more ground spares after the second flight, we have a new instrument that is ready for launch,” said Fortenberry.